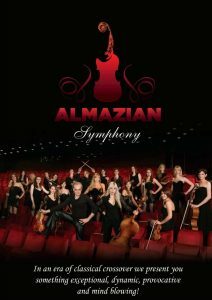 Founded by the Armenian-Belgian violinist Khachatur Almazian and the Serbian-Belgian cellist Tamara Savic, the ensemble immediately attracted huge media interest. The first performance was praised by all major Serbian media. The Serbian Press titled the project as «New classic for the new Millennium».